How many times have you sat down after a good meal and thought about how good it tasted? Or how often after an enjoyable evening with friends do you sit back and think about the true meaning of your conversations? While most do not consider themselves philosophers reflecting upon the deeper mysteries of the universe, many people contemplatively enjoy live in less abstract ways. We go through our days enjoying the food, the beauty that we see around us, and the pleasant conversations, while at the same time failing to explicitly contemplate why we enjoy certain things in life. Why does a good meal seem to make the world better? Why is a sunrise so appealing to us? What is it about well written poetry that makes it so good? 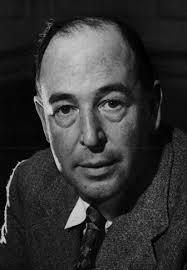 C. S. Lewis offers us an example of how we may reflect upon our meaningful experiences in his essay “Meditation in a Toolshed,” where he discusses the difference between simply enjoying an experience and the deeper contemplation of said experience. Lewis once was standing in a dark toolshed and saw a sunbeam come through a crack above the door. He says that while looking at the beam, he was “seeing the beam, not seeing things by it” (Meditation, 212). This is similar to many of our everyday experiences. We see activities and enjoy them for what they are without looking deeper. This is not to say that we shouldn’t enjoy the pleasurable things in life, but we ought to examine our lives and experiences closely in order to capture more of the joy that they offer. Lewis goes on to explain what he saw when instead of merely looking at the sunbeam, he looks through it, out into the world beyond the dark of the toolshed. He says, “Instantly the whole previous picture vanished. I saw no toolshed, and (above all) no beam. Instead I saw, framed in the irregular cranny at the top of the door, green leaves moving on the branches of a tree outside and beyond that, 90 odd million miles away, the sun” (Meditation, 212). There is a difference between simply looking at an object or experience, and using that experience to see something greater, a facet or characteristic of an experience that would is often lost on us when we do not examine closely the lives that we live. Many times we enjoy and perceive the momentary sensory pleasures that lives provides us, without seeking deeper meaning for the joy and contentment that those feelings sometimes provide. Lewis suggests that the real pleasures in life are not fundamental to the ‘looking at’, but in fact to the ‘looking along’ that we do in life. While there are undoubtedly objections to this (“How can thinking about eating be better than eating?” one might ask), this premise must be examined. Why is it that certain experiences in life give us such great pleasure? Is it the experience or the subconscious (and sometimes conscious) thoughts about the experience that we enjoy so greatly? Why is it that human beings enjoy the company of other humans so much? Is it because they give us someone to talk to, someone to laugh at, or perhaps someone to commiserate with? Maybe all of these reasons are part of the answer. Consider a dog. Cannot one talk to, laugh at, and commiserate with a dog? Certainly one can, but as great a companion as canines are, most humans desire more in a companion. Perhaps verbal communication is the key. What of parrots or voice simulating computer programs; are these not enough as well? Looking further, what about the wonders of modern technology: Do phone calls, pictures, and video-phones equate to the real company of human beings? Again, it seems not. What is there then that makes humans desire the company of other people so badly? Perhaps there is a greater meaning and purpose that resides in human beings which we desire fellowship with. Conceivably, there is a fundamental value or need that humans need to fulfill with the company of other human beings that no non-human substance can replace. Let us compare this to ‘looking at’ and ‘looking along’ Lewis’ sunbeam. One may simply accept the joy of human companionship without looking at the deeper meaning that seems to reside within those relationships. This will be (and often is) a very real joy: we love those around us and enjoy being with them. Yet the enjoyment, the longing for companionship, of being with other people seems to gain meaning and purpose when one thoughtfully considers why it is that we need to be around people so very much. Not only does human companionship become more important and meaningful, but by looking along the sunbeam, we are encouraged to look further than before and discover new and exciting truths about humanity and the world around us. There may be great joy in simply experiencing an event or perceiving beauty, but in the end the meaning that we gain from looking deeper at those experiences is of greater value. A look at Lewis’ life demonstrates that things of ultimate value are often found within the very things that we enjoy the most. In his autobiographical work, Surprised by Joy, C.S. 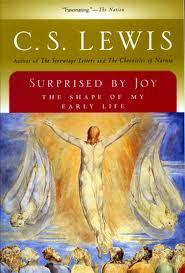 Lewis makes much reference to the idea of Joy. What Lewis originally termed as ‘romanticism’, he describes as Joy in his autobiography. He describes Joy as the ‘central story of my life’. Lewis indeed links his idea of Joy to the German word Sehnsucht, which conveys a complex romantic notion (Jasper, 223). Much has been asked about this seemingly ambiguous term. What then can we gain from this metaphor that Lewis seems to use again and again? As he points out in his essay “Bluspels and Flalansferes”, Lewis believes that most philologists consider our language to be full of ‘dead metaphors’, that is, language may have once been useful and descriptive, but it is now lacking in descriptive qualities and precession (Hooper, 251). Lewis throughout this essay stresses the importance of metaphors, as well as their impact on the thinking of those who use them (as subtle as it may be). He says that “What is important for us is to grasp that just is so far as any metaphor began by being magistral, so far I can continue to use it long after I have forgotten its metaphorical nature, and my thinking will be neither helped not hindered by the fact that it was originally a metaphor, not yet by my forgetfulness of that fact” (Hooper, 257). That is to say, if most metaphors are created in a way that is often specific to a particular person, place, or instance, then even when their initial use is forgotten, they can still be used, though they may not impact the value of the statement within which they appear. How then do we apply this principle to Lewis’ idea of Joy that he so readily writes about? Did Lewis use this term so much as a young lad that the meaning was changed or transformed in some way? It seems not, for Lewis himself later writes that “Our thought is independent of the metaphors we employ in so far as these metaphors are optional…”(Hooper, 258). Therefore we ought to except Lewis’ apparently unchanging definition of Joy as “an unsatisfied desire which itself is more desirable than any other satisfaction” (Joy, 18). He specifically differentiated Joy from Happiness and Pleasure, saying that “Joy (in my sense) has indeed one characteristic, and one only, in common with them [Happiness and Pleasure]; the fact that anyone who has experienced it will want it again” (Joy, 18). As Lewis himself indicates, the story of his life has been that of his journey with Joy. While Lewis’ early life seemed to be a joyful one, following the death of his mother and his relegation to the ‘concentration camp’ that was Oldie’s school, he remarks that “for many years, Joy was not only absent but forgotten” (Joy, 37). Lewis’ interactions with mythology and the Norse gods in particular seem to have brought him from the desert and brought him to Joy again (Joy, 82; 88-89). Between Lewis’ younger Animal Land and his reawakening with Norse Mythology, he seems to have created for himself two separate worlds: the real, physical world, which was all but devoid of Joy, and his imaginative world, where Joy was found, though seldom at times. An experience that seems to have been formative to Lewis was his relationship with his father from the death of his mother until his university years, where he and his father seemed to become more and more detached and almost antagonistic towards each other. During his time at Wyvern College, Lewis began to live more and more like an atheist: “I maintained that God did not exist. I was very angry with God for not existing. I was equally angry with Him for creating a world” (Joy, 133). Between his years at Wyvern and beginning his scholarship at Oxford, Lewis mentions in his autobiography little about Joy, save his enjoyment of the classics and learning under The Great Knock. He goes on to mention how he often found Joy in his studies and escapades into the works of mythology. And yet Lewis was unable to capture the Joy that he sought. Everywhere he looked for Joy he couldn’t find it, though at times when he wasn’t looking for it, Joy would make an appearance and then vanish (Joy, 192-197). Christianity entered the scene as he saw beauty and Christian faith overlap both in Milton and in the Wyvern Priory (Joy, 199). Then faith and mythology, “two things hither to widely separated in my mind rushed together: the imaginative longing for Joy, or rather the longing which was Joy, and the quasi-prurient desire for the Occult, the Preternatural as such” (Joy, 203), rushed together with unease for Lewis. Following the First German War, Lewis returned to Oxford and continued his scholarship. He then writes that, “As for ‘Joy’, I labeled it ‘aesthetic experience’ and talked about it much under that name and said that it was very ‘valuable’. But it came very seldom and when it came it didn’t amount to much” (Joy, 238). Soon many of Lewis’ friends and colleagues began to influence his views on God, philosophy, and religion, including Nevill Coghill, who Lewis described as a ‘thorough going supernaturalist’. Following his graduation, Lewis became a temporary lecturer at University College, and later a fellow at Magdalen in 1925 (Joy, 251), where he met a great number of colleagues who began to influence him, including H.V.D. Dyson and J.R.R. Tolkien. As important as Joy was in pushing Lewis towards Christianity, he later writes that “the subject has lost nearly all interest for me since I became a Christian” (Joy, 276). 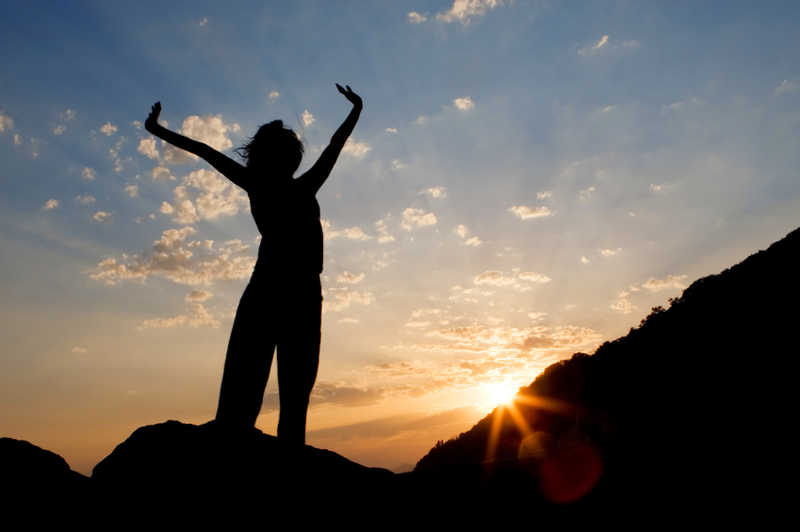 For Lewis, experiences of Joy are simply signposts along the main road, pointing us ever onward towards the greatest Joy that we will ever experience –life with Jesus Christ. He occasionally would ‘stop by the side of the road’ to ponder Joy as a part of his Christian faith, though he also often wondered if he was attempting to replace Christ with Joy even after his conversion. Jasper writes that “The pursuit of joy was, indeed, the central quest of his life, finally defined for him in Christianity, though its form remains supremely within the literary imagination. Lewis himself was at times almost painfully aware of this, reflecting in 1930 that it is possible ‘to confuse an aesthetic appreciation of the spiritual life with the life itself’, and wondering at the conclusion of The Four Loves (1960), ‘God knows, not I, whether I have ever tasted this love. Perhaps I have only imagined the tasting'” (Jasper, 227-228). Lewis did believe that once Joy had gotten you to the correct path, there would be many more instances of encouragement through experiences of Joy, but that greater things lie along the path ahead and for those things we should strive earnestly. As an idea and experience, the contemplation and enjoyment of Joy was an important factor in pushing intellectual great C.S. Lewis towards Theism and eventually Christianity. While Lewis eventually grew to realize that like the sunbeam in his toolshed, Joy may be a pleasing experience to merely view, but that it ultimately has a greater purpose when one understands that Joy should point towards the author of that feeling. Lewis had joyful experiences in life that pushed him towards faith in Christ and an eternal Joy with Him in Heaven –the greatest Joy than anyone can ever experience. Hooper, Walter. C.S. Lewis: A Companion and Guide. London: HarperCollins, 2005. 186-93. Print. Hooper, Walter, ed. Bluspels and Flalansferes: A Semantic Nightmare. By C.S. Lewis. Cambridge: Cambridge University Press, 1980. 251-61. Print. Jasper, David. “The Pilgrim’s Regress and Surprised by Joy.” The Cambridge Companion to C.S. Lewis. Ed. Robert MacSwain and Michael Ward. Cambridge: Cambridge University Press, 2010. 223-36. Print. Lewis, C.S. “Meditation in a Toolshed.” God in the Dock. Ed. C.S. Lewis. London: Eerdmans, 1970. 212-15. Print. –. Surprised by Joy. London: HarperCollins, 2002. Print. This paper was originally written for Dr. Michael Ward at St. Peter’s College, Oxford University.